Salvatore is a TED Fellow (2012), Eisenhower Fellow (since 2013), Yale World Fellow (2014) who teaches Interaction Design and Digital Design at Rome’s University “La Sapienza”, at ISIA Design Florence, at RUFA, Rome University of Fine Arts, at IED, Istituto Europeo di Design. 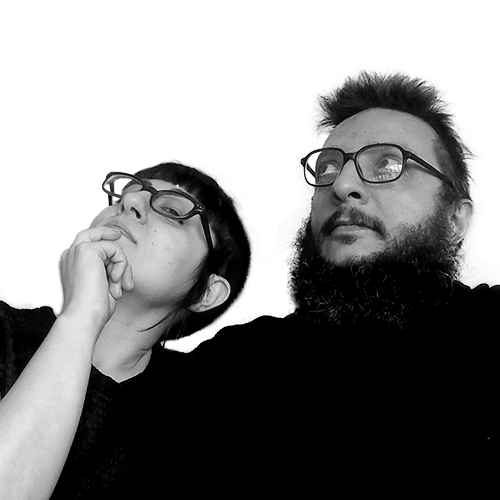 Salvatore and Oriana co-founded Art [is] open source (AOS) – an interdisciplinary research laboratory focused on merging artistic and scientific practices to gain better understandings about the mutation of human beings and their societies with the advent of ubiquitous technologies. AOS now includes more than 200 artists and researchers from across the world.